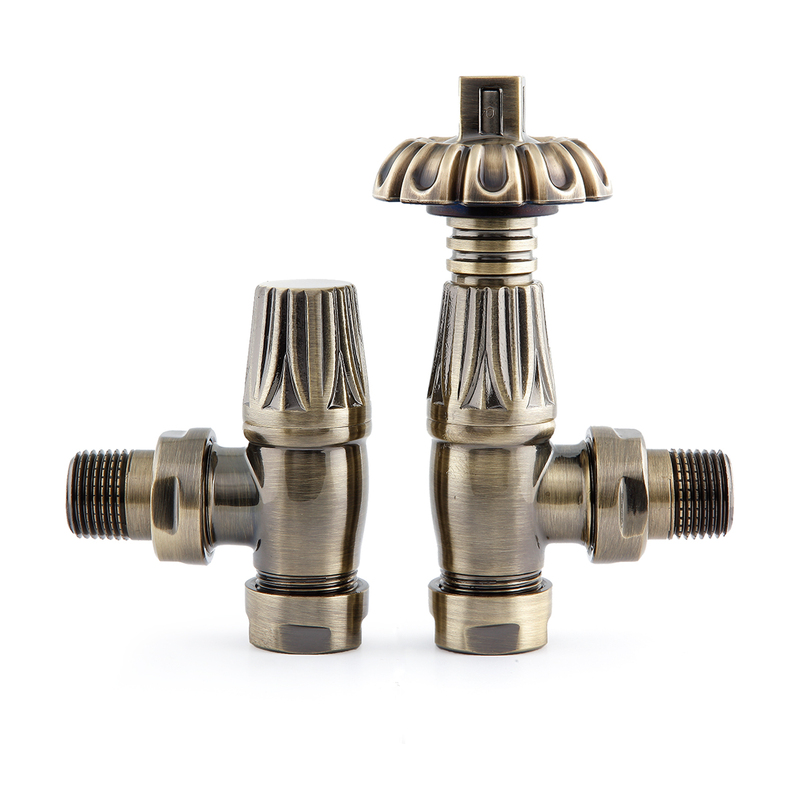 Elaborate radiator valves that pair well with ornate cast iron radiators. 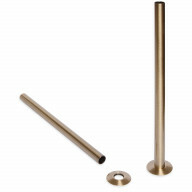 Finished in antique brass, matching shrouds and base plates available separately. 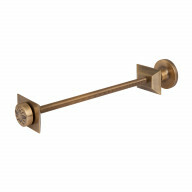 Intricate radiator valve and lockshield pair finished in antique brass. Thermostatic operation for enhanced energy efficiency and more comfortable room temperature.